Registration for Krishna's Tour of India for 2019 is now open. This is our 20th tour to the holy sites of India and we aim to make this as transcendental for you as possible ! Seats are limited, so get in quick while it's still available. We visit the sweetest place on Earth where Lord Krishna exhibited his bewildering pastimes 5000 years ago. We will spend a few days here covering all the major pilgrimage sites in the town including a parikrama of the Holy Govardhana Hill and a visit to the home of Srimati Radharani. It is said that even if you lie down to sleep at Mayapur, Mahaprabhu accepts it as obeisances unto Him. Such is the mercy of this holy place. We will spend time here bathing in the Ganga, performing parikrama. and learning about the Gaudiya Vaishnava acharyas of the past. 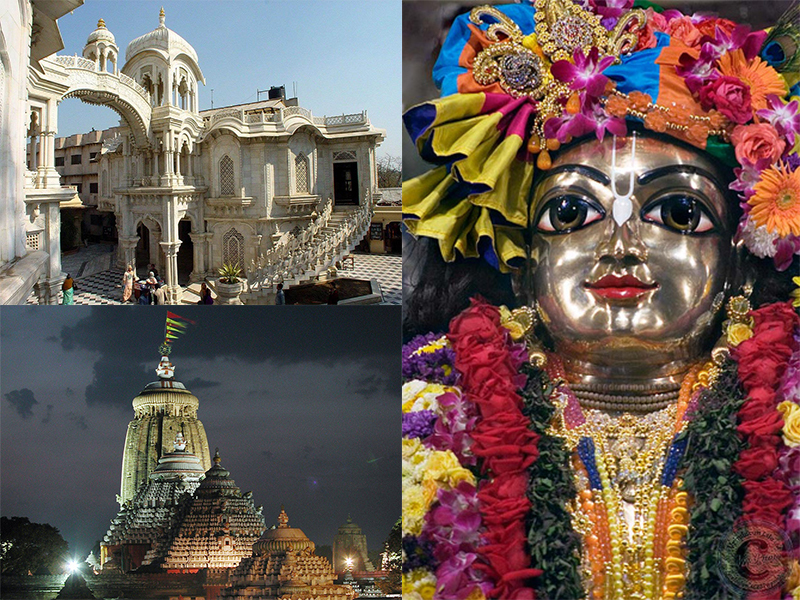 We visit one of the holiest places on Earth, moving around the ancient town exploring the glories of the Temple, learning the history of the annual Ratha Yatra and diving deep into the pastimes of Lord Caitanya Mahaprabhu who worshiped the deities of Lord Jagannatha, Balarama & Subhadra.